Street within the city walls Canton - from a drawing by a Chinese artist. A woodcut engraving which appeared in "The Illustrated London News". Circa 1870. 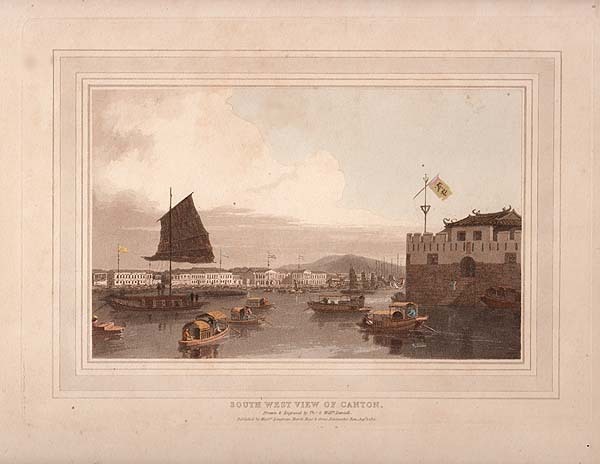 Canton River : The Red Fort and European Quarters. A woodcut engraving which appeared in "The Illustrated London News" on 10th January, 1857.